An image of peace and tranquility. An image of control and contentment with life. An image of graceful gliding through life. No one sees the frantic activity going on below the surface; the rapid foot movements that keep swans swimming; the deep concentration as the search for food goes on. We marvel at how they manage to look so calm and peaceful. We envy such a simple life. 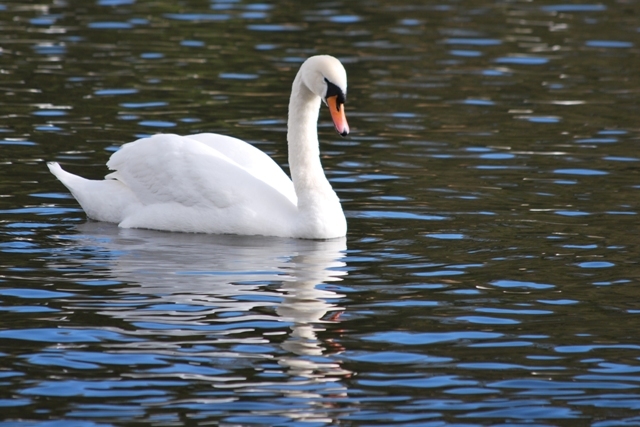 Yet, swans have the same basic needs as humans: A place to live, and food to eat. There is nothing wrong with being busy, frantically pursuing the necessities of life; as long as we keep calm in the process. Maybe if we put more energy into thinking, and use less energy in hyperactivity, people would not be so angry, all the time. But, then, maybe swans are not as greedy as humans. Very wise words and a nice picture of a swan. Thank you. Glad you agree.